If you're looking for a VPN that offers a lot of useful features, PureVPN can be the right choice for you. They offer military-grade encryption to keep you safe from ISP spying. And with their trial account, you can take a test drive of their services before going for a full-on subscription. They have an impressive network of over 2,000 servers in 140+ countries. With a network so large, you can hide behind an IP address from practically any country of your choice. While they have high-grade encryption that will keep hackers away, they also have a list of special features like split tunneling, ad blockers, and a kill switch to make sure that you have a secure internet surfing experience. PureVPN can help you unblock Netflix on U.S. and UK locations. And that's not all — they will also let you bypass the Great Firewall of China! Make sure you install PureVPN on your devices before you land in Beijing. They also offer special DDoS (Distributed Denial of Service) protection at extra cost. With their DDoS protection services, your IP will remain hidden from the attacker—and your computer can't be taken over for website attacks—and all the incoming traffic will pass through anti-DDoS mitigation servers, filtering out all malicious traffic. You can also connect to their Ozone servers to keep harmful traffic and malware out while you securely browse the web. 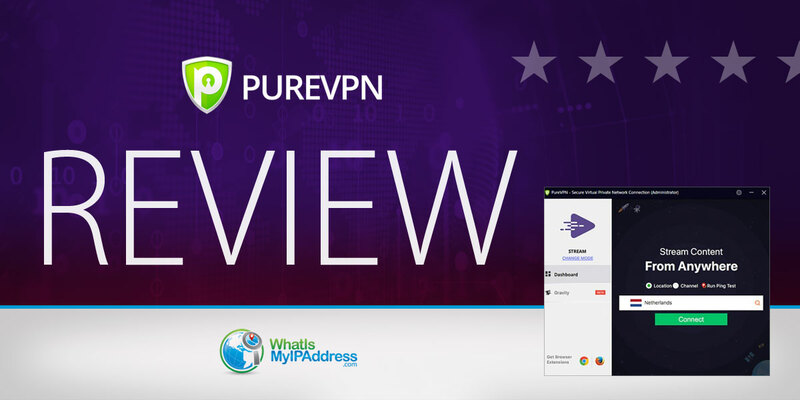 PureVPN certainly has the potential to become your preferred VPN choice. PureVPN has a live chat option that's always active. Whether you're looking for technical support or have a billing inquiry, you can contact them directly on chat and receive an answer within a few seconds. And if you want to send a question to them, you can either email them or use their contact form. You'll get an answer within one business day in most cases. They are also on social media and will generally reply within 24 hours to Facebook messages. Apart from their customer support, they also have VPN setup tutorials, an FAQ section, and other useful articles that might help you with your problems. PureVPN has three subscription plans — monthly, yearly, and 2-year plans. Their 2-year plan offers the most savings. They keep running special offers and if you contact them while an offer is active, you might be able to upgrade to their 5-year deal that will bring the costs down to even less than $2/month. They also have a trial plan (for a small cost) that will let you try their services for 3 days. The trial plan is non-refundable, but the subscription plans come with a 31-day money back guarantee. There are several payment methods, including credit cards, PayPal, gift cards, and cryptocurrencies. If you want to stay completely anonymous, you'd want to pay via crypto. And the best part is that they accept a number of crypto payments including Bitcoin, Litecoin, Ethereum, Ripple, and others. However, you'll need to keep in mind that crypto payments are non-refundable. PureVPN also provides pre-installed routers (called Wouters) that you can just plug and play to secure all your devices. PureVPN offers dedicated IPs and they are available at $1.99/month. If you're a business owner, you'd probably want business VPN to support your entire team. PureVPN can create custom VPN packages for your company. PureVPN has apps for Windows, Mac, Android, and iOS. They also have extensions for Firefox and Chrome. You can also configure the VPN manually on your device. The configuration instructions are available on their website. PureVPN can also run on Linux, router, Kodi, smart TV, Firestick, and several other devices. You can connect up to 5 devices on a single license. So with just one license, you can secure all the devices of your home. And if you install the VPN on your router, you can secure any number of devices with it. The VPN is very easy to use and the app gives a number of choices depending on your needs. You can choose special servers for streaming Hulu/Netflix, VoIP, gaming, and other purposes. This makes the app very easy for even novice VPN users. So, if they were asked to share their customer details, they will have nothing to share in the first place. This, plus the fact that they're based in Hong Kong, which doesn't have mandatory data retention laws, makes PureVPN them a safe choice. No matter what reason you have for using a VPN, PureVPN can deliver powerful results. From unblocking Netflix, Hulu, and HBO to bypassing the Great Firewall of China, it has everything you need from a reliable and established VPN provider. And they even have dedicated IPs. While shared IPs are safer than dedicated ones, you might need the latter for business purposes. PureVPN offers both of them. Ad blocking, kill switches, split tunneling, DDoS protection, and ease of use — PureVPN offers a lot of unique features that aren't available with all other VPNs. They support a number of protocols including PPTP, L2TP, SSTP, and OpenVPN. However, most users prefer OpenVPN because it's the most secure. Before you plan to subscribe to PureVPN, remember they have, in the past, shared customer details with the government. They claim to have changed their policy. Also, even though they do have a large network, you may experience speed issues on most servers. Their U.S. and UK servers are fast, but not many servers offer decent speeds. If you're a movie or TV show fan, PureVPN might be a good choice for you because they allow torrenting and also unblock Netflix and Hulu. While PureVPN representatives promise that they can bypass the Chinese firewall, keep in mind that it's almost impossible to get a stable VPN connection there. Since the Chinese authorities maintain strict checks against VPNs, users can't expect high speeds in Beijing. PureVPN is good for offering security when you connect to a public Wi-Fi. It also keeps you safe from hackers and ISP spying, but its random speed drops are a big limiting factor to its usability. And since PureVPN has earned the reputation of a spying VPN provider over the years, they'll need to work hard to get rid of that stigma.